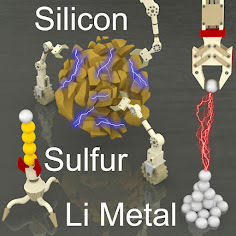 Teaching Sulfur New Tricks!!! Our manuscript entitled "Direct Utilization of Elemental Sulfur in the Synthesis of Microporous Polymers for Natural Gas Sweetening" is just accepted for publication in Chem by Cell Press. Congratulations to SH for this fantastic piece of work!! !